“As a co-member and Chair of the Santa Barbara Educators’ Roundtable, I have had the opportunity to work with Holly Cline over the past five years. Throughout that time, I have truly enjoyed working with her. In our meetings, she always brought a fresh, creative voice to discussions, often leading us to explore new ideas. Throughout her tenure on the Roundtable, Holly was responsible for designing the product for our signature program, the Passport to Santa Barbara County. 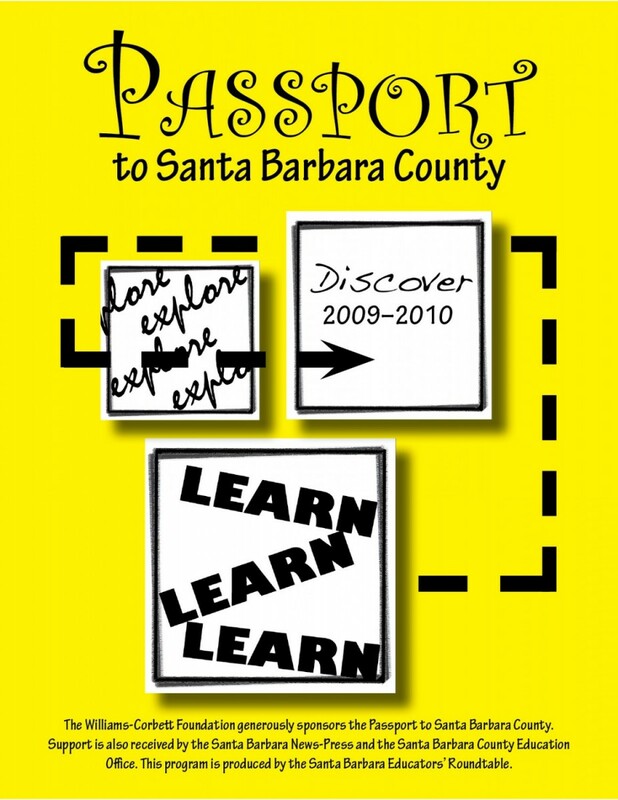 This “passport” booklet highlights local informal learning institutions (members of the Roundtable) and is distributed to 19,000 elementary schoolchildren each year, enabling them to visit the institutions (such as museums and art galleries) for free. Holly has also done a superb job of coordinating the editing process with the almost two dozen organizations showcased in the booklet. She has a great sense of design; For the Passport, she suggested a more user-friendly design which also enabled us to reduce production costs. Holly was very efficient; she always completed the project very quickly and the finished product was always well done. This was a volunteer role for her and I have always been impressed by the level of professionalism with which she carries herself. I would recommend Holly to anyone!”-Heather Moffat, Director of Education & Exhibits, Santa Barbara Museum of Natural History and Chair, Santa Barbara Educators’ Roundtable.